State of Sweden started beaming a murderer, murderer, murderer goes free, murderer goes free. They started with Swedish Midsummer song “Litte Frogs” and beaming this outdoors and indoors four days ago. They looping this indoors and when you exercise they beaming and looping this when you exercise outdoors, and then starts again when you are home. This stalking spirit in State of Swedens organized gang stalking never sleeps, beaming accusing looping a murderer, murderer, murderer goes free murderer goes free, and then does people playing Your body”, “Your body”, “Your body”, “Your body” and yesterday they played ” I want your body”, I want your body” at same place. They looping “I want you” from 00.30 to 01.30 earlier. 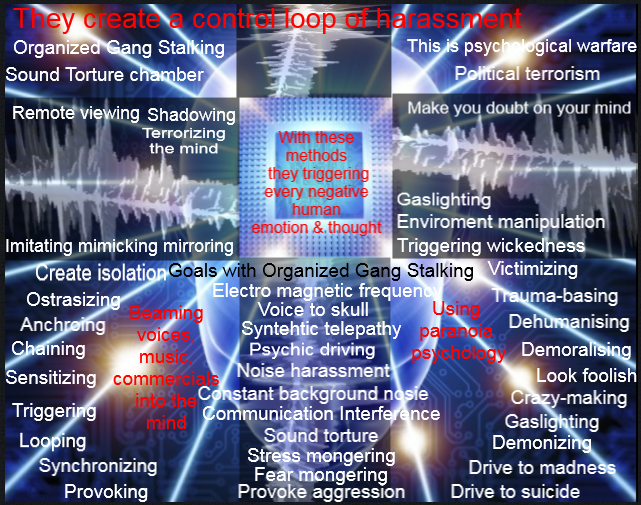 This is the Swedish Hive Mind or maybe The Matrix that is controlled from other dimensions and other entities.